The Trip Advisor Module from BookingCenter empowers you to get more bookings and smarter returns from your marketing investments by driving potential guests directly to your website. 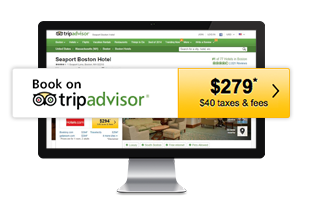 As a Certified TripAdvisor Partner, we provide a seamless connection to TripAdvisor’s InstantBooking, TripConnect, and ReviewExpress products for a low monthly subscription fee of $30/month. Read below to learn more about these programs. A property must be both a BookingCenter and TripAdvisor Business Listing customer and enroll via the Management Center at TripAdvisor to accept the TripConnect API terms and conditions from TripAdvisor. When doing this, our customers select BookingCenter as their Booking Engine (which you will see as an option). The TripConnect product is based on a cpc (‘cost per click’) business model; InstantBooking is based on a commission business model. Which one is right for your business is right for your business can be analyzed in the TripAdvisor Business Listing area. Once signed up, the Rate and Availability allocation you wish Trip Advisor travelers to view will be shown while they are evaluating your property. The rooms and rates can be whatever you wish, by default set to your Booking Engine allocation, thus can be higher or lower than the rates you make available to other distribution sites. TripConnect (the original one) requires a property to pay for clicks to their ‘website’ (a ‘pay per click’ – CPC – business model). InstantBooking charges a commission for each booking. BookingCenter supports both, and which one is best for your property is not hard to deduce: examine both your rates (higher ADR means more for paid for a commissionable booking) and your market – a low ‘PPC’ value for hotels in your market may be less expensive than a commission. For more information on how owners can register and verify with TripAdvisor, click here. You must be enrolled in the TripAdvisor Module from BookingCenter, which you can order by contacting us. A property must be both a BookingCenter and TripAdvisor Business Listing customer and enroll via the Management Center and accept the Review Express API terms and conditions. Enrollment in ReviewExpress means that TripAdvisor will automate the delivery of ‘Review Requests’ from guests who stay at your property to gain more reviews on TripAdvisor. Send only ‘Review Requests’ from guests who booked as a result of your TripAdvisor listing. We track each ‘referral’ from TripAdvisor with a code that TripAdvisor places on your ‘Booking Engine link’ to target only this group of online bookers. Send ‘Review Requests’ to guests who booked via any online booking processed by BookingCenter. This would include all online bookings: website booking from all sources, GDS agents, OTAs, etc. Send ‘Review Requests’ to all guests who checked out – meaning all Guests from your PMS, as well as those booked online. As TripAdvisor details in their FAQ on this program, 2 days after check-out, a guest will receive a ‘Review Request’ from TripAdvisor. In your TripAdvisor Management Center, you will be able to watch the queue of Review Requests’ scheduled to go out. TripAdvisor offers an option for a property to delete a ‘Review Requests’ from the queue from a tool within your Business Listing service. Once BookingCenter sends TripAdvisor the guest names and emails, there is nothing BookingCenter can do to draw them back. Thus, make sure to remove a ‘Review Request’ from a guest who had a bad experience prior to 2 days after check out. You can enroll or leave the ReviewExpress program at any time. Think long and hard about whether you want BookingCenter to send your guest details to TripAdvisor for this program, as 100% liability for this resides with your business and TripAdvisor. Your hotel Popularity Ranking on TripAdvisor — a key to increasing visibility and attracting potential bookings — is largely based on the quantity, quality and recency of traveler reviews. Review Express is a powerful way to keep reviews rolling in. 8 out of 10 travelers usually or always reference TripAdvisor hotel reviews before booking. * By helping you generate more fresh feedback via Review Express, your hotel gives travelers the reviews they want when they’re ready to book — and this optimizes the performance of your Business Listings and TripConnect campaigns. Review Express helps gather important customer feedback that can drive business improvements and enable you to better manage your online reputation — both of which can help to enhance future bookings opportunities. NOTE: Your property must have at least one owner signed up to help TripAdvisor prevent fraud. 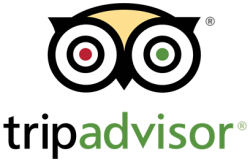 For more information on how owners register and verify with TripAdvisor click here. To gain ReviewExpress, you must be enrolled in the TripAdvisor Module from BookingCenter, which you can order by contacting us.